The hurricane “Willa” is “extremely dangerous” and should reach the Mexican coast on Tuesday. A second-highest category 4 hurricane has formed in the Pacific and is heading for Mexico. 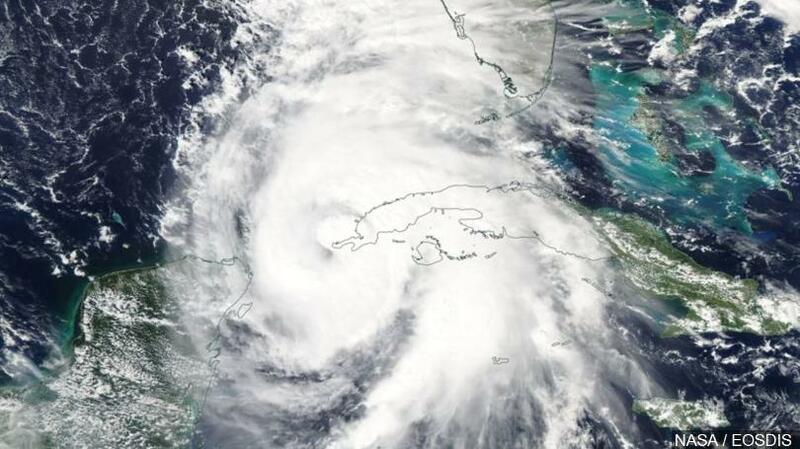 The Hurricane “Willa” is “extremely dangerous,” the US hurricane center (NHC) warned on Sunday. It reached wind speeds of 220 kilometers per hour and was located about 365 kilometers from Cabo Corrientes on the west coast of Mexico. “Willa” should reach the Mexican coast on Tuesday and is expected to reach Category 5 by the time it gets to the coast. Upon reaching of the hurricane there will be tidal waves, heavy winds and heavy rains that could be “deadly,” warned the US hurricane center. The Mexican authorities surveyed a large area of the west coast between Playa Perula and Bahia Tepehuayas. “Willa” has been rapidly gaining strength and has been upgraded from category 3 to 4. Only two weeks ago hurricane – “Michael” of category 4 – hit Florida and in other states caused severe devastation. Many people were killed.